PlayOJO casino was established in 2017 and is currently owned by Skill On Net. LTD Casinos. The casino is powered by approximately 37 gaming providers and this list includes big names in the industry like Microgaming, NetEnt, Play’n Go, Real Time gaming, Evolution Gaming, Genesis Gaming and several others. The casino has got variety of withdrawal and deposit method and this list includes some of the most popular methods like Neteller, Skrill and one of the rarest methods, PayPal, also. 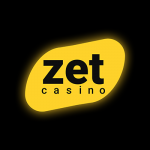 Just like every other online casino recommended on the site, this one is also licensed and regulated by the UK Gambling Commission, Danish Gambling Authority and Malta Gaming Authority. Bank Wire Transfer, Maestro, MasterCard, Neteller, PayPal, Paysafe Card, Visa, Sofortuberwaisung, Wire Transfer, EcoPayz, Instant Banking, Fast Bank Transfer, Skrill, Trustly. Promotional Welcome Bonus : Get those wager free up to 50 free spins. You get a free spin on every $1 you deposit. No Maximum win, No wagering requirements, all wins are paid in cash. PayPal payment method is available. Only logged in users can contact support through live chat. The payout speed is fine at PlayOJO casino, however, it might be slow during the holiday season and weekends. The first withdrawal request may take longer than usual because of the verification process (if asked by the casino). The speed is fine to proceed with, however, it is not as good as Casumo casino, which is another one of our recommended casinos. The welcome bonus at PlayOJO is quite unique, it is not like other casinos where you get money in your account on deposited some money. At PlayOJO casino, you get up to 50 wager free spins, it’s a 100% match bonus, you get 1 wager free spin for every $1 you deposit. Being wager free makes it better and there is no maximum win limit, all your winnings are paid in cash. We would like to see PlayOJO offering some bonus amount as well just like other casinos but since the free spins they offer are wager free, so, we can neglect this thing. The customer support at Play OJO casino can be reached via email and live chat support. There are 2 cons when it comes to PlayOJO’s support, firstly, they don’t have phone support (very limited casinos have phone support), second, their live chat is not available 24/7 and is only available for logged in users. The major con we believe is the support is not available 24/7 through live chat, if you are okay with it, then it should be no problem but if you need help at your service the moment you wish, then you might have some problem. Chat is only available to logged in users, this is somewhat good and bad at the same time, the good part is only real customers get the support, the bad thing is you will have to log in before you can talk to them. You won’t be disappointed when it comes to the gaming collection. The casino is powered by over 35 gaming providers and has over 2000 games that include almost all the popular casino games in different categories. It’s pretty easy to find you are looking for at their website, thanks to the good navigation. The games are mobile compatible and can be played for free as well (trial). If you like instant-play games over downloadable software, then it’s a good news for you as PlayOJO does have instant-play games. The casino has got over 2000 games and a variety of banking options. The customer support is available through email and live chat, but live chat is only available to logged in users. No Wagering and No maximum wins is one of the best highlights about this online casino. 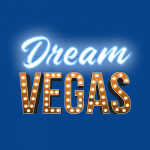 Dream Vegas Casino Review, Details, Welcome Bonus - Worth It?